When school districts outside of Chicago negotiate contracts, they do so with the assurance that the state will pick up the tab on pensions. To control growing pension costs, lawmakers capped salary bumps at 6 percent in 2005. This year, the cap tightened to 3 percent. 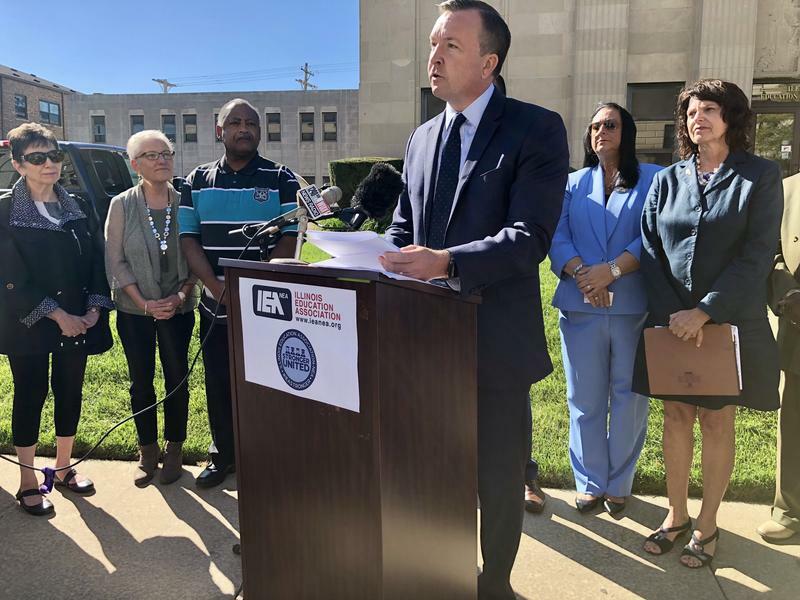 Illinois' teachers unions have collected more than 15,000 signatures on petitions urging state lawmakers to reverse that measure. 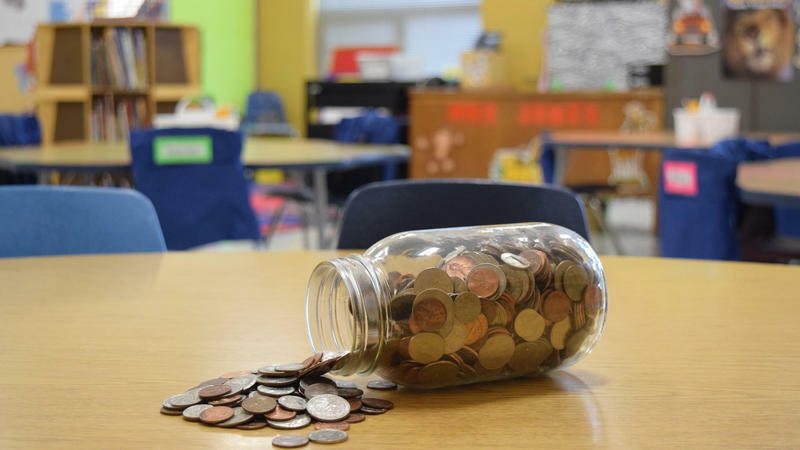 In a maneuver some state lawmakers call a "booby trap," the spending plan approved last week says Illinois can't appropriate money for schools unless a new funding formula also wins approval. 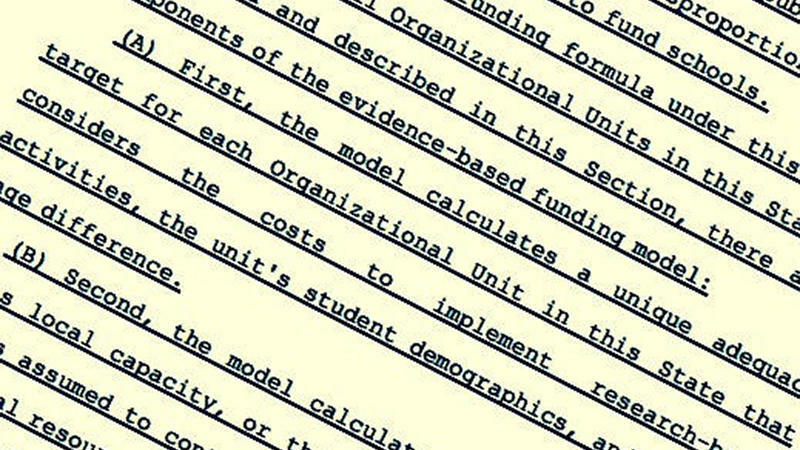 It ties K-12 dollars to something known as the "evidence-based model." Both political parties endorse this model, which is based on each district's demographics. The Democrats' version has passed the House and the Senate; they haven't sent it to Gov. Bruce Rauner, however, because he has promised to veto it. 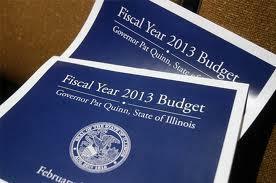 Wednesday is the last day of the Illinois General Assembly's annual legislative session. It also happens to mark 700 days since Illinois last had a real budget. Majority Democrats still aren’t saying whether they plan to do anything about that. 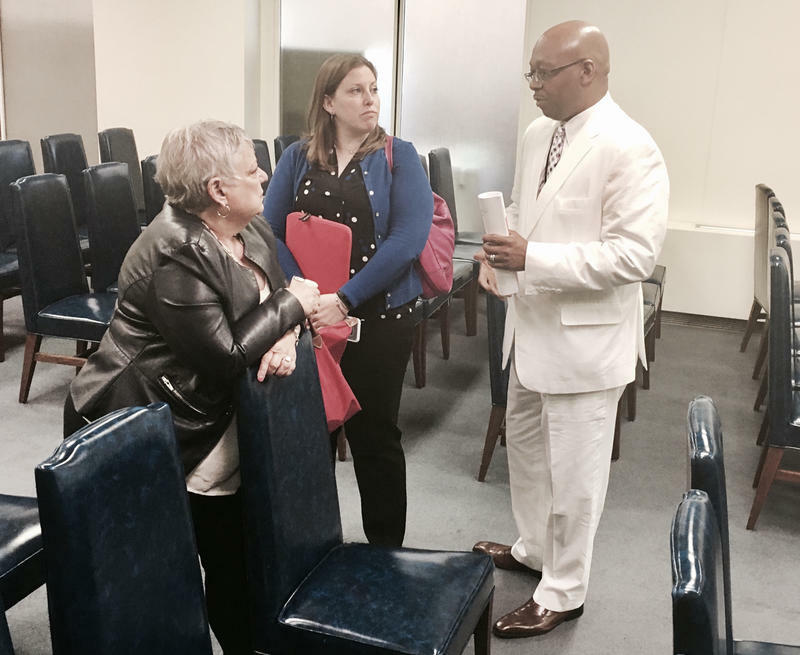 Ed Funding Reform: A Question Of "What's Reasonable?" It can be tough to find a bipartisan effort on any substantive issue at the capitol. 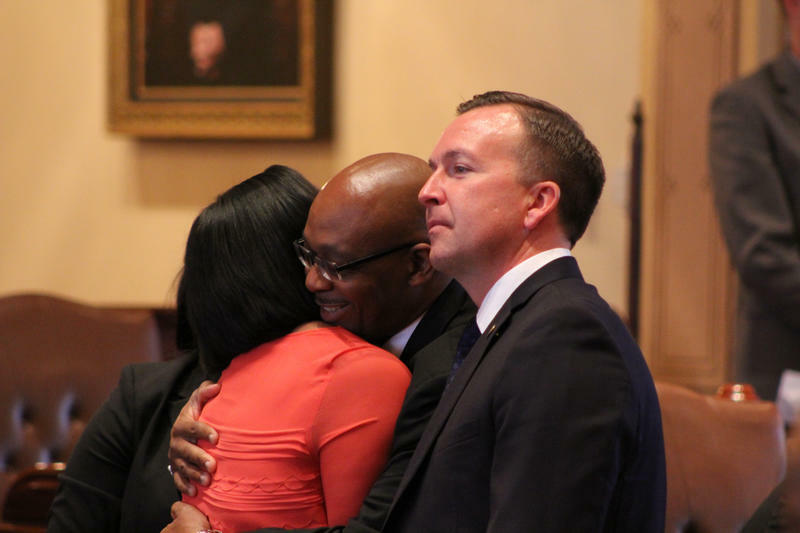 But State Representatives Will Davis (a Democrat) and Bob Pritchard (a Republican) are still co-sponsoring House Bill 2808, designed to make school funding more equitable. 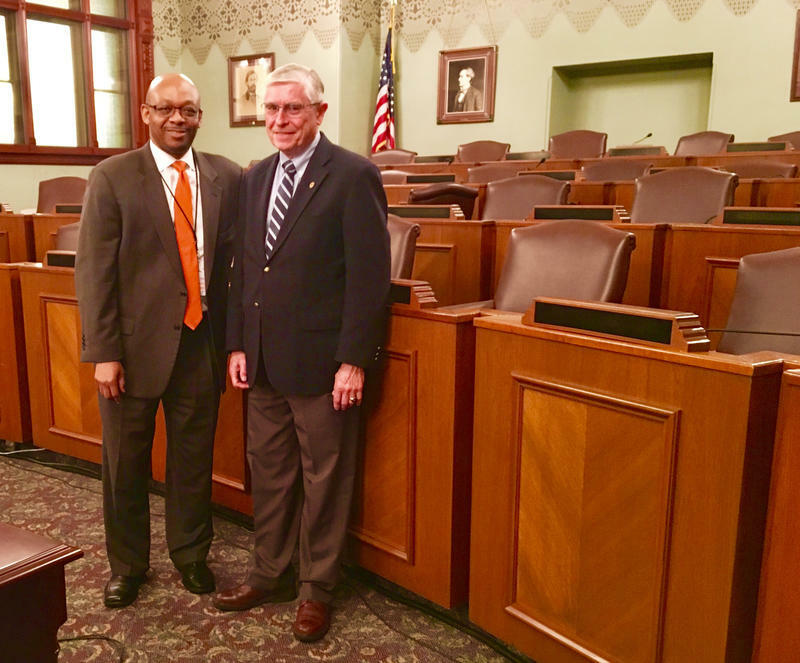 These two lawmakers were both members of Governor Bruce Rauner's School Funding Reform Commission. 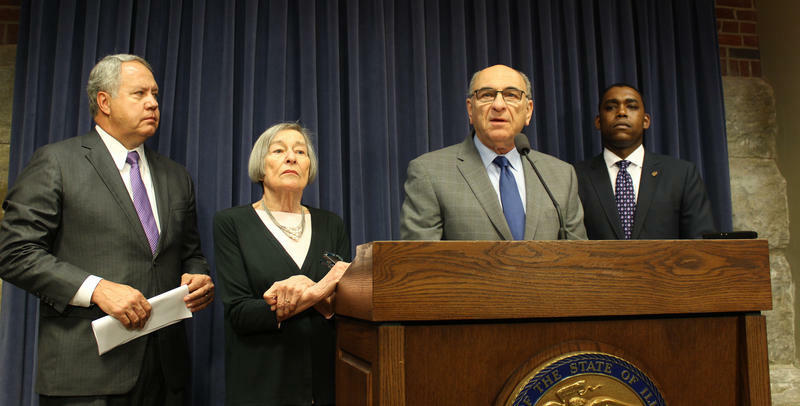 That was a bipartisan, bicameral group that spent six months studying Illinois school funding issues and creating a framework for how to fix it. ​​​Last night, they sat down for an impromptu chat about their legislation, and why it keeps changing, with our education desk reporter, Dusty Rhodes. 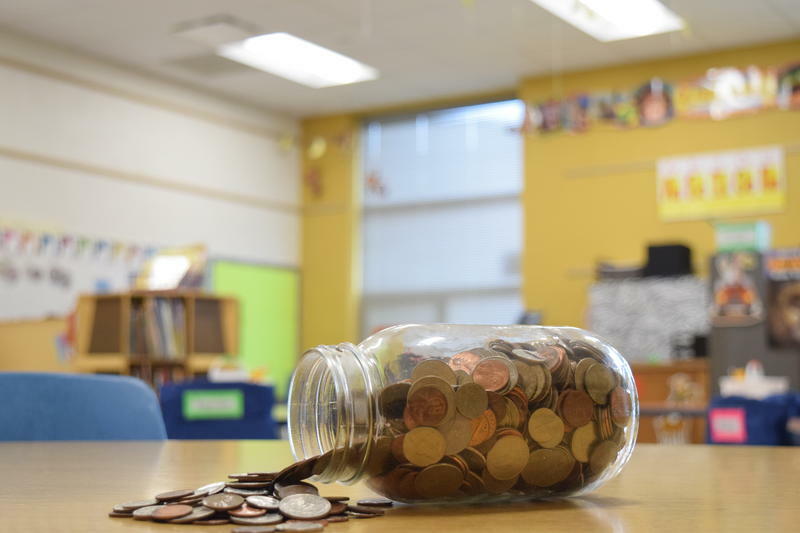 It's hard to find an issue that unites Illinois lawmakers, yet members of both political parties and Governor Bruce Rauner have consistently agreed the state needs to change the way it funds schools. Now, with the filing of two separate legislative plans, that once-unison chorus sounds out of tune. State Senator Jason Barickman is the author of one of those plans. 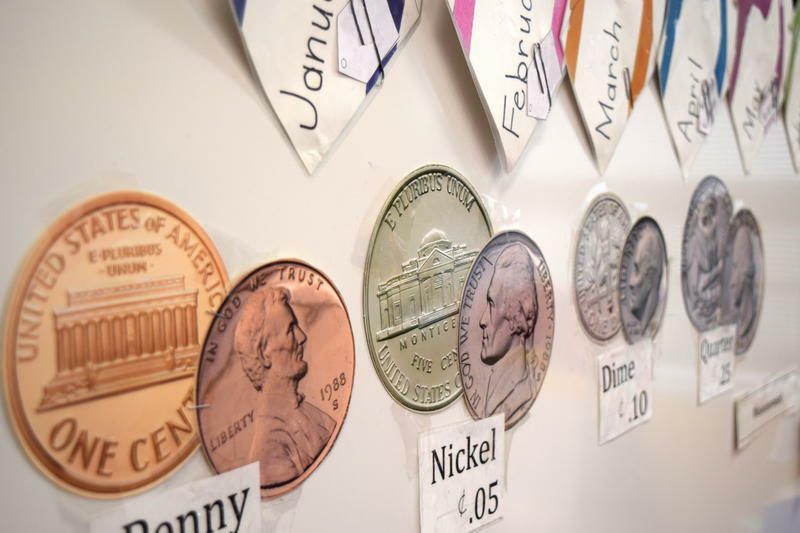 Our education desk reporter Dusty Rhodes quizzed him on how he intends to fix the flaws in the state's current funding formula. 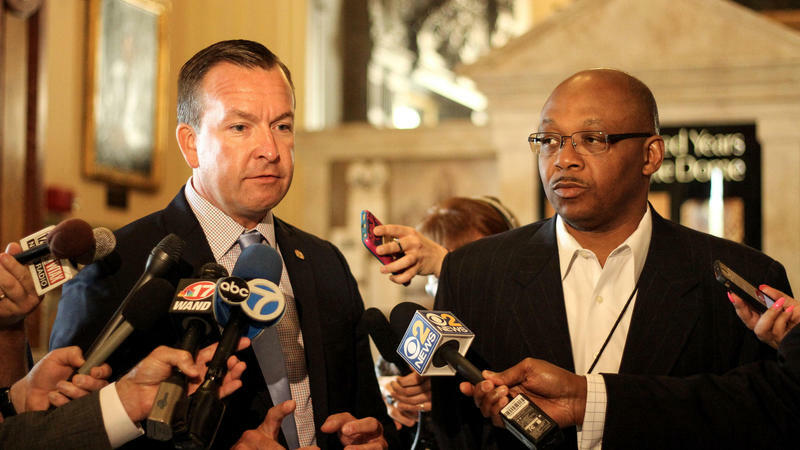 School Funding Bill "Is A Complete Game Changer"
Lawmakers have been trying to change the way Illinois funds schools for years now, with no luck. But a new plan called the Evidence Based Model seems to be gaining momentum. 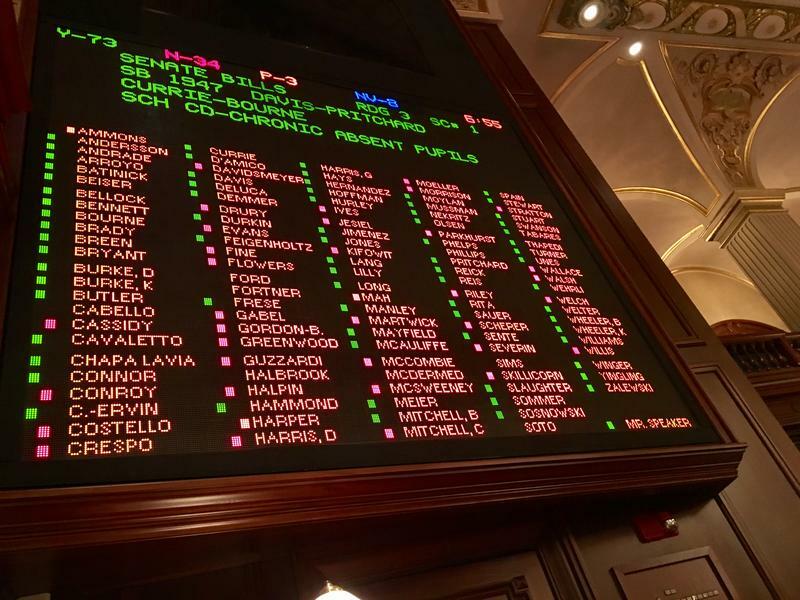 The effort to overhaul the way Illinois funds public schools has been gaining momentum over the past few years, and yesterday, the latest plan got the green light to be heard by the House of Representatives. 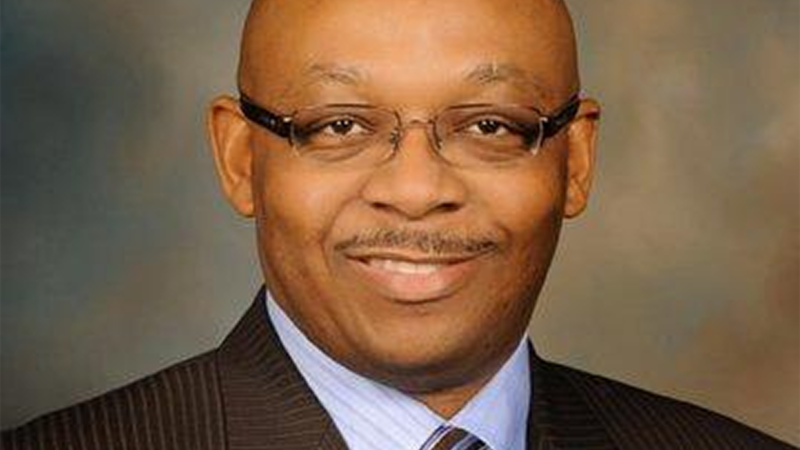 Sponsored by State Rep. Will Davis (D-Homewood), the plan cleared committee on a 15-1-0 vote, marking the first time in recent history that a school funding plan got bipartisan support. That's despite the fact that Davis chose not to provide a spreadsheet showing how much money each district would get. 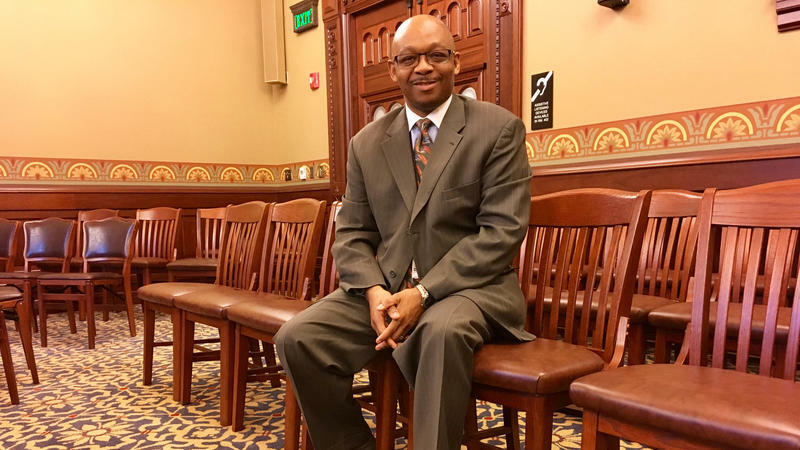 State Rep. Will Davis filed a school funding reform package last week that promises to makes school funding in Illinois more equitable. How much will it cost? 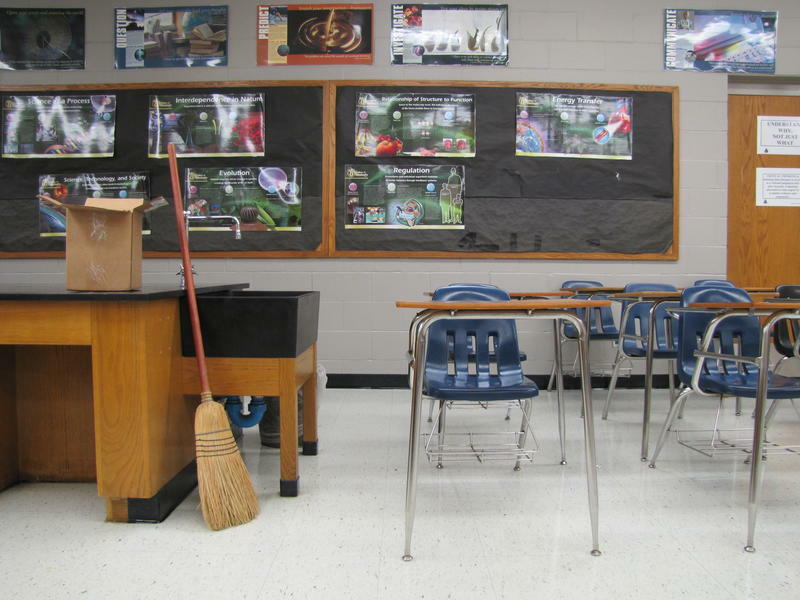 How much will each school district gain or lose? Is Davis even going to call the bill for a committee hearing? All good questions with no firm answers. 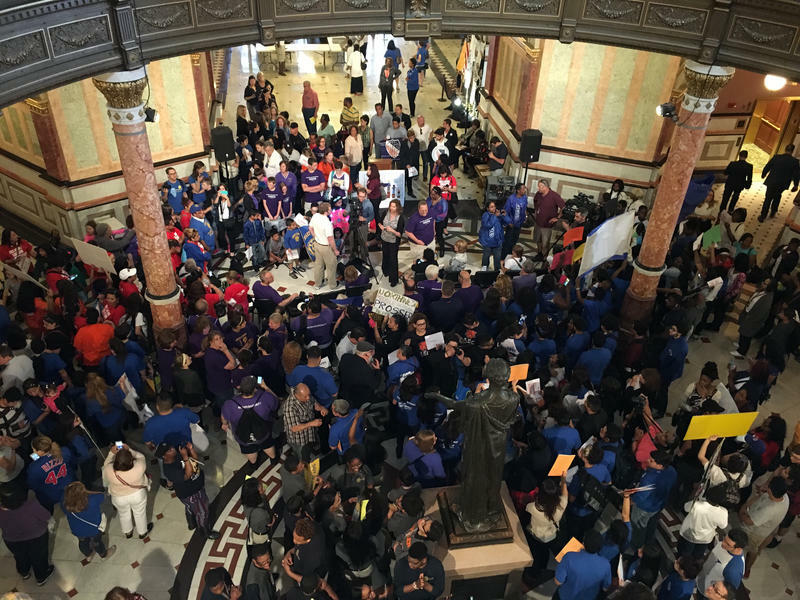 The Illinois legislature adjourned last night with no budget for education -- at any level. Illinois drivers may see their future options for specialty license plates become more limited. A proposal moving in the legislature would prevent any new groups from creating specialty plates and instead allow them to sell a sticker. The causes would still get revenue. Rep. John D'Amico, a Democrat from Chicago, says the change will also help identify vehicles and provide less confusion for law enforcement issuing tickets. Bipartisan Beginnings; But Will The Champagne Bubbles Burst? A new class of legislators were sworn into office Wednesday, making the start of a new, two-year legislative session. It's also the official beginning of a new period in Illinois politics. With Republican Bruce Rauner in the governor's mansion, Illinois will have a divided government for the first time in a dozen years. 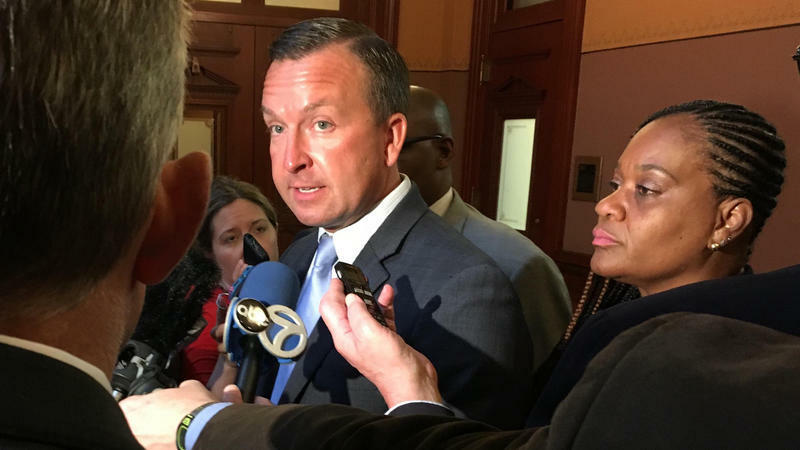 How much you'll pay in state taxes next year remains an open question, even as the Illinois House Thursday approved dozens of spending bills, that rely on a permanently higher tax rate. It sets the stage for a budget battle, just weeks before legislators are set to adjourn for the summer. 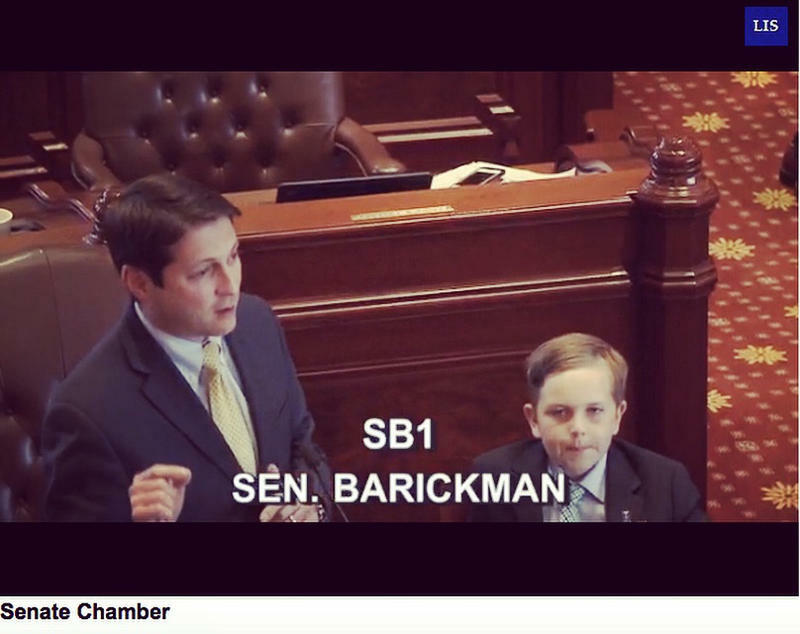 The Illinois House convened at 8 o’clock Thursday morning, and spent most of a very long day on the budget. 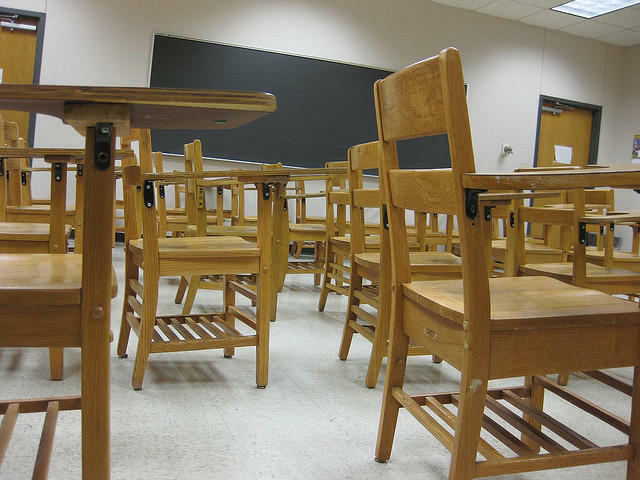 Lawmakers began with a debate on funding Illinois' public education system, giving schools a slight increase over this year. Should Lottery Winners Be Anonymous? Winning big in the Lottery is also a ticket to a lot of media attention. Amanda Vinicky reports on an effort to keep winners' identities secret. Every now and then, Rep. Will Davis plays the Lottery. "And I was just thinking if I was fortunate enough to win, I don't know if I would want my name or be required to publicize if I was a winner. And just for the record I'm not, so," says Davis, laughing.